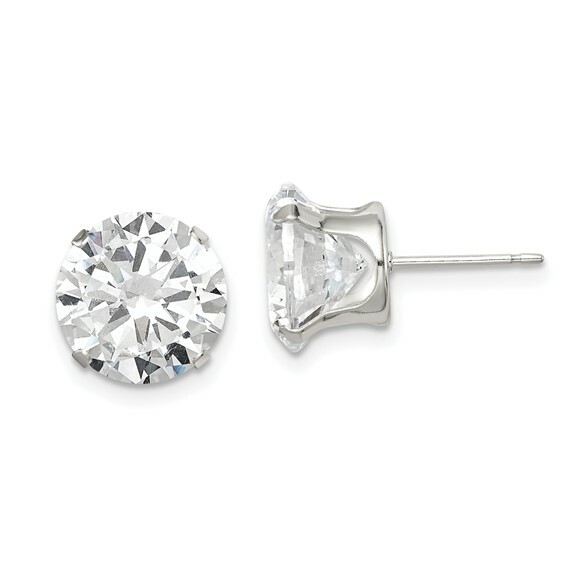 Sterling silver CZ stud earrings have six prongs. Cubic zirconia size: 10.0mm. Weight: 3.25 grams.